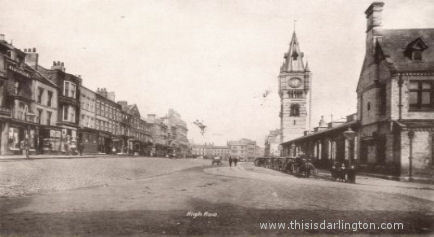 Darlington began as an Anglo-Saxon settlement on the River Skerne which is a northern tributary of the Tees. The town was later taken by the Danes and there are still many place names of Viking origin in its vicinity. Since Norman times Darlington has been a borough and the site of an important market and today it is arguably the ‘capital’ of southern County Durham with its population of over one hundred thousand much greater than that of Durham City. However, Darlington is no longer officially part of the County of Durham except in historical terms.